As anyone who has left deck chairs out in the sun year after year knows, some plastics degrade in the sun over time and are inappropriate for use outdoors. But don’t give up on plastic marine hardware! The right high performance plastic can actually outlast steel in environments where there is heavy exposure to UV light. Choosing the proper material is key to developing marine hardware that won’t degrade with constant exposure. Use this guide to pick out materials that will keep your marine hardware looking and working as good as new for years of sunny days! 1) Get a base coat! Energy from the sun’s UV rays can weaken the chemical bonds in some materials, using heat to work its way in layer by layer. Therefore, the darker and more opaque the marine hardware, the less damage will occur. Darker pigment will stop the rays from penetrating as many layers where they will break or weaken bonds. The simple addition of most pigments will help put off UV degradation of marine hardware. 2) Pick your material well! Fluropolymers, such as PTFE, PVDF, HDPE, and PEEK, have extremely strong molecular bonds that can withstand UV radiation much better than other materials. UV rays strong enough to break these bonds are not known to reach the earth’s surface. These materials also don’t contain any structures that are known to absorb UV rays. When tested under Florida’s sunny skies, marine hardware made out of these materials has been known to maintain its integrity for over 20-30 years! 3) Slather on some sunscreen! UV stabilizers can be added to some of our materials for added sun protection. They absorb and then dissipate the UV radiation as low level heat in order to stop degradation of the marine hardware’s molecular bonds. Some of the stabilizers used in high performance plastics contain the same active ingredients as sunscreen, protecting your marine hardware as well as your favorite sunscreen protects you! Impurities in plastics can absorb UV rays and trap them in your marine hardware, giving the UV energy more time to break down the molecule chains. Luckily, fluropolymers tend to be some of the purest materials available, largely devoid of those harmful impurities. Impurities can also help create free radicals that break chemical bonds. Craftech’s commitment to quality control, as evidenced by our ISO 9001:2008 certification, ensures that all of our materials are effectively free from impurities. 5) Test your marine hardware! 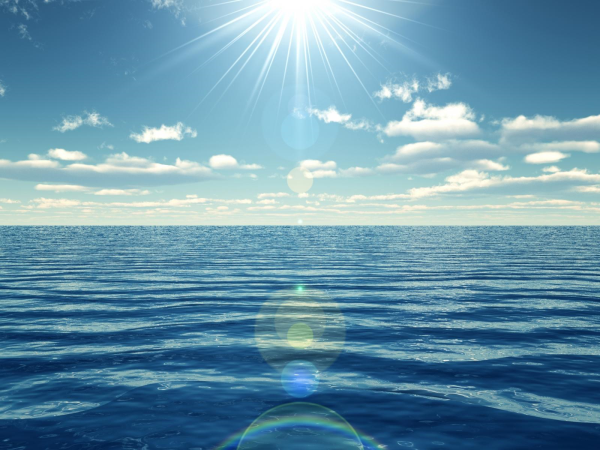 Environmental factors can greatly affect the long-term quality of your marine hardware. The salinity, heat, humidity, and amount of radiation present can all change the possibility of degradation. Even if your marine hardware won’t be spending any time outside, your components are still at risk. The UV radiation from fluorescent lighting can contribute to material degradation. In addition, your location can affect the amount of radiation your marine hardware can expect. In areas where the ozone layer is depleted, such as the Southern US, the UV rays are stronger and there is more likelihood for long term damage. While there is little you can do to stop exposure to UV rays, there is a lot you can do to shield and maintain your plastic components. By simply picking the right material and testing it well, you can ensure that your marine hardware maintains its attractiveness and efficacy for years to come. Not sure which material will make your marine hardware beat the heat? Sign up for a free material consultation with one of our experts and find out!